It’s back! 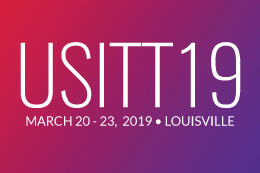 Grab your team and register for USITT19 Tech Olympics sponsored by Princess Cruise Lines. The popular Tech Olympics brings teams of student members and their coaches from colleges and universities around the country to compete in a timed series of events designed to test their skills at the various disciplines involved in theatre production. Events this year include solo competitions in costume, sound, rigging, and props. Team competitions will include lighting and stage management. 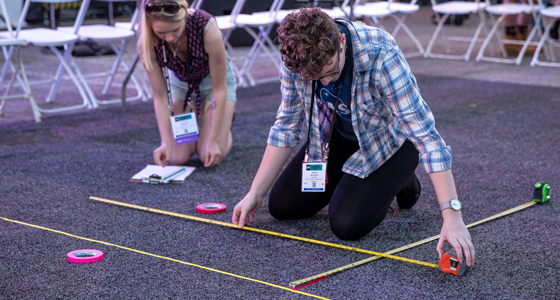 This year’s mystery event features a new skill for the Tech Olympics, but it is a skill that all young professionals in the entertainment industry should know. This year’s adjudication team is packed with skilled professionals who have traveled far and wide to work with YOU. Come for the competitions, but stay for the prizes! New companies have joined our regular donors in providing prizes this year. Learn important skills while competing in a friendly environment and possibly go home with a great prize. Please be sure to sign up for the event before noon on Friday, March 15, so that we have time to get everyone logged into the score sheet before the competition begins!